Start 2018 with a Greek New Year’s Platter and infused ouzo!! Another year has almost gone! I can’t believe how fast time has passed. Looking back at 2017, the Odyssey and I have lots of reasons to celebrate and be thankful. We have been blessed with great experiences and made many happy memories. On today’s blog I would like to look back on 2017 together with you. 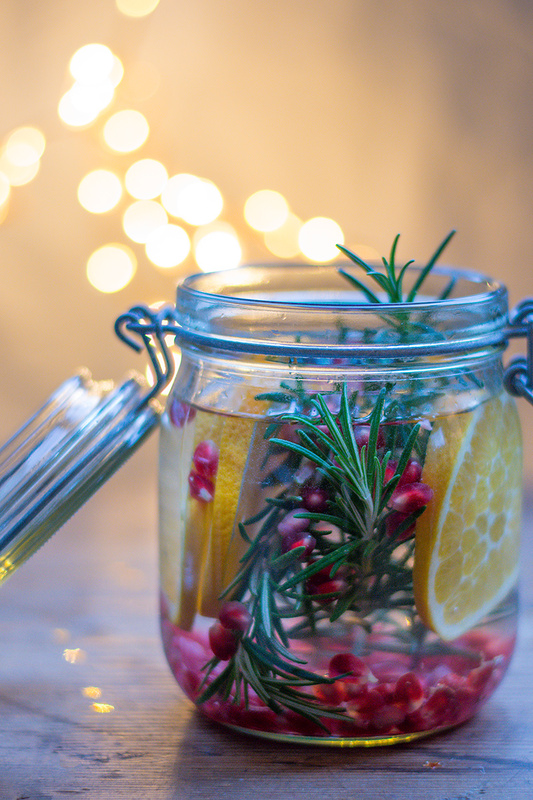 Of course this blog would not be complete without food tips for New Year’s Eve: My Greek New Year’s platter and infused ouzo! Let me start by saying that I am very grateful for all the people that followed Katerina’s Kouzina in 2017. Some of you send me wonderful comments and e-mails. 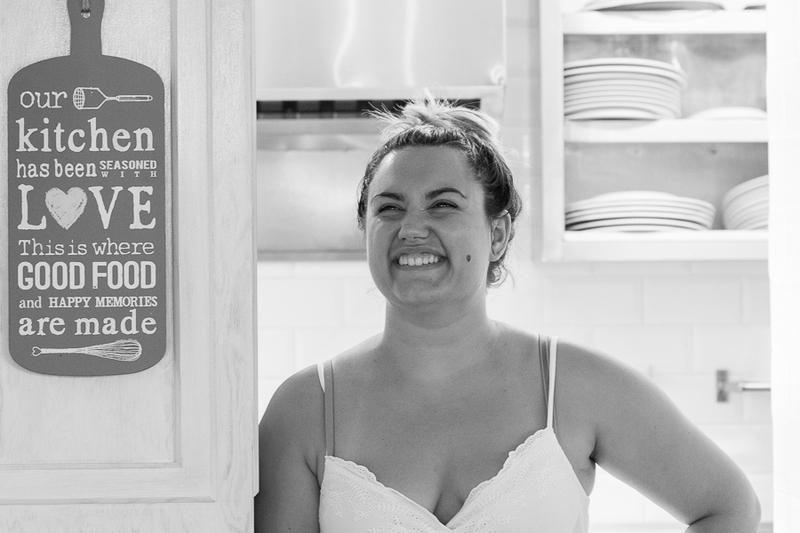 It was a joy to read how you experience making my recipes and about the love we share for the Greek kitchen. I hope you will continue to follow my blog and cook with me in 2018! At Odyssey we always have a lot of fun and wonderful times. We especially love it when we have small or big groups that stay with us to follow our themed weeks. We like to do our best for them, organize all kinds of activities and have fun all together. We were especially excited about our brand new themed weeks in 2017! We started the year with a yoga week given by Suus de Jong, our new Dutch yoga instructor. We continued with the Prophetic Art Week of Mary Karakalos, the Art and Painting Week of Erin Dertner and the Poros Coaching Retreat of Loes Geurts. There was the Greek Experience Week of Lynette Colosimo and the Yoga and Kayaking Week of Christi Fast and Brian Gibbons. 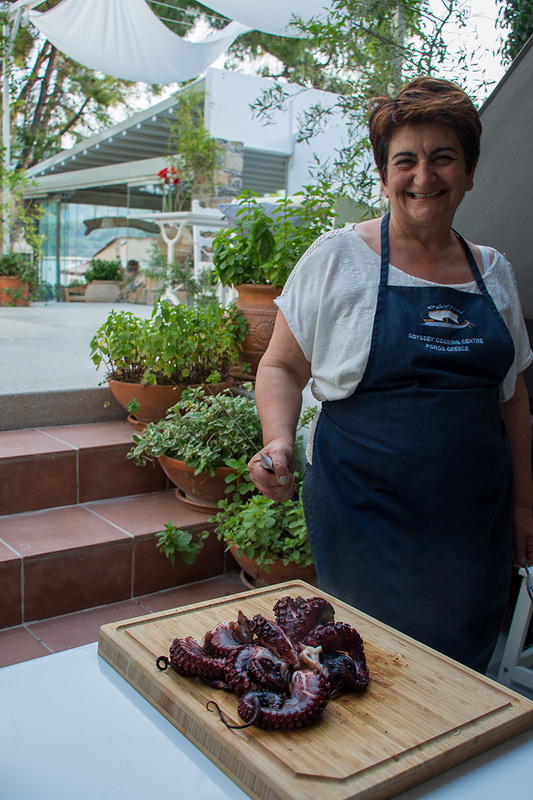 Of course Mary Horner was with us again this year with her guests from Cooking Ouzo. Next year you can read all about these themed weeks on Katerina’s Kouzina! We are grateful for all the guests that came to stay with us at Odyssey in 2017. We hope to see you again! 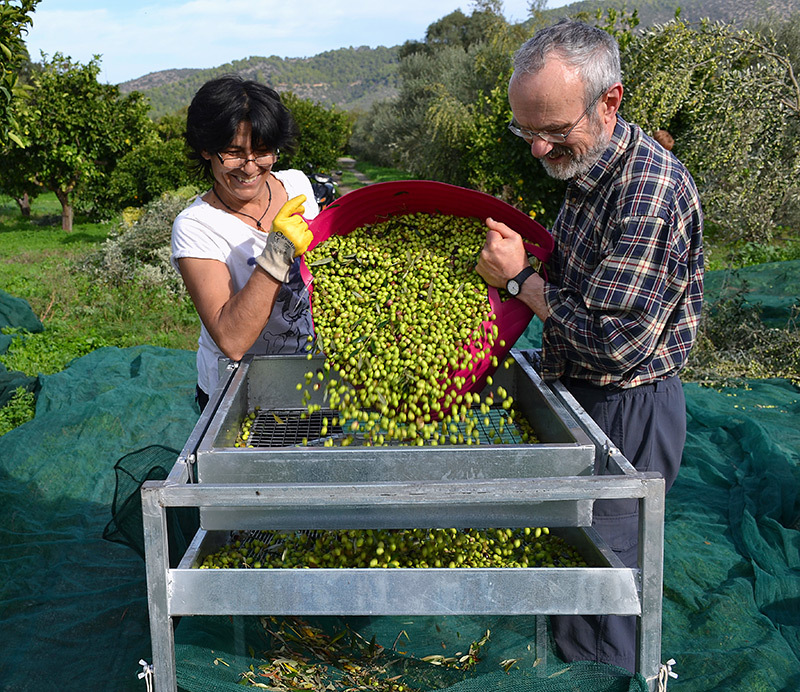 One of our themed weeks that was very special to me this year, was the Olive Picking Week. 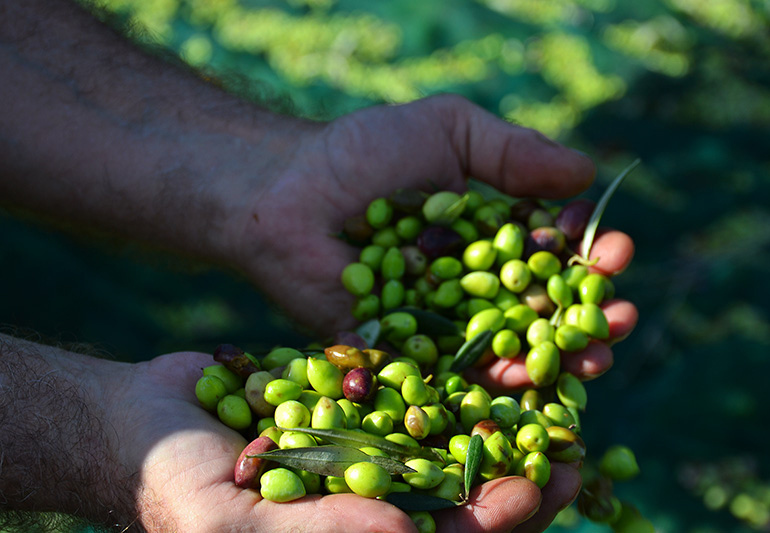 You all know how much I love the olive picking and how proud I am of the olive oil that we produce. 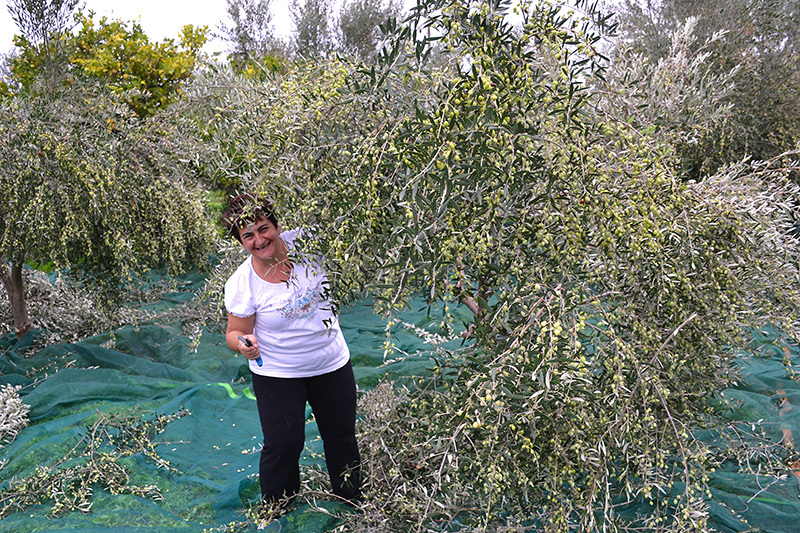 This year the Olive Picking Week was even more fun than the years before! At the end of the season we all longed for the quiet that winter offers. We were with a nice group of interesting guests and sweet friends that came to help us. Every evening after the hard work we collected food from the farm and cooked it on the barbecue and in the wood oven under the stars. We were all drinking wine, talking and having so much fun. What an amazing way to end the season of 2017. I can’t wait for the next Olive Picking Week next year! It’s from October 27 until November 3rd. We would love it if you can join us!! The nicest party in 2017 was without a doubt my daughter Dora’s birthday on August 30! For the last 20 years it is tradition to celebrate her birthday in style at Odyssey. This year, it was the best birthday so far. Dora had dedicated her birthday party to the Poros Animal Welfare Society (PAWS). She asked the guests to make a donation to this charity instead of giving her a birthday present. Rik and I are so proud of her! I am sure that if 2018 is half as good, we are going to have another fantastic year and I am ready for it!! 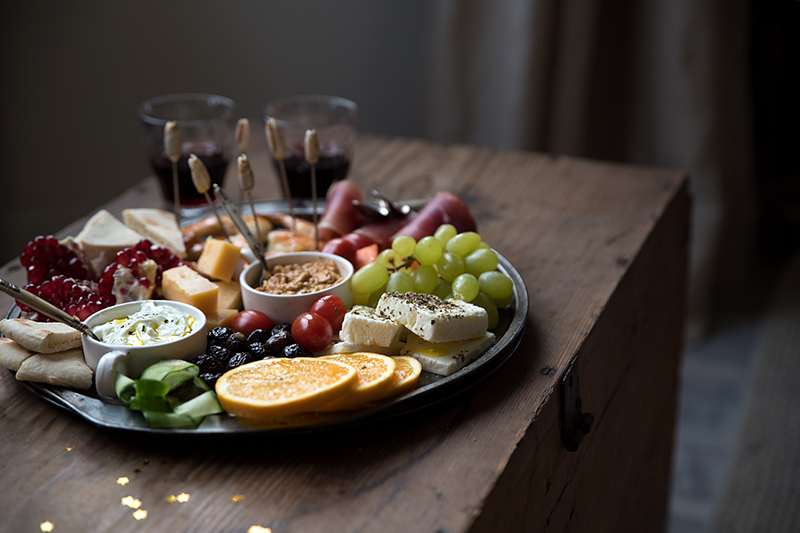 What better to serve on New Year’s Eve than a little bit of everything? 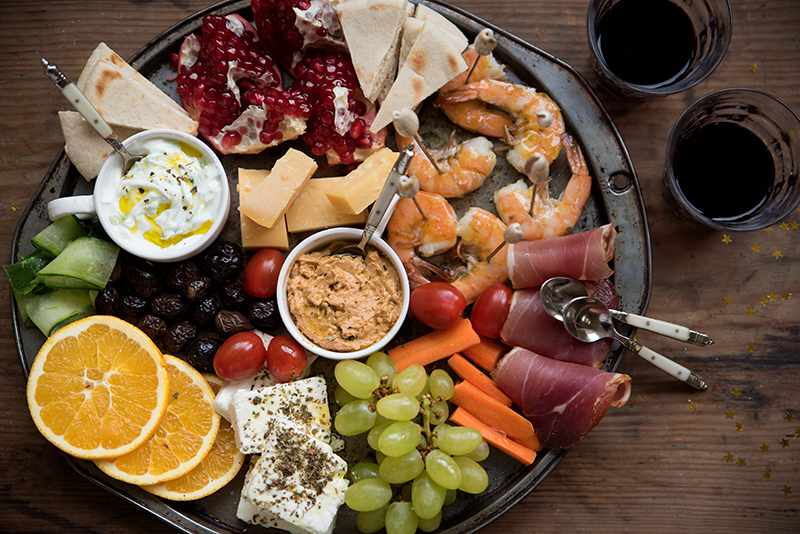 To choose a pretty platter and create beautiful combinations of simple and typical Greek food! This is my Greek New Year’s Platter! Some of you might have tasted what we put together on this platter at Odyssey. If you are looking for the recipes of the Tzatziki and Hummus, you can find them on this blog. The prawns are lightly fried in olive oil, the cheese is called Kefalotiri, the feta is sprinkled with oregano and you see cured meat on the platter. The black Manaki olives are picked from my farm, fried and salted by me! 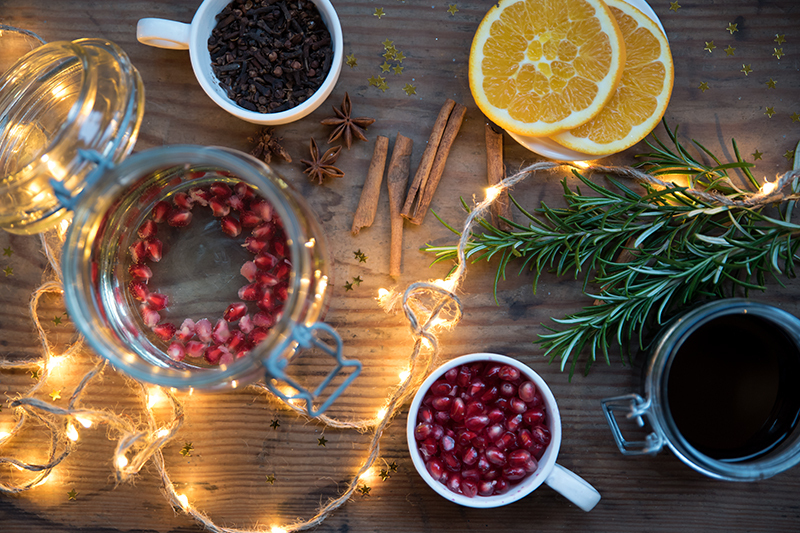 After adding pomegranate seeds to the ouzo last year in the Christmas season, I wanted to take it a bit further this time! I put away the small ouzo glasses and found myself a big jar. I filled it with ouzo, rosemary branches, slices of orange, and pomegranate seeds soon followed. I allowed this ouzo-delight to infuse for a couple of days. When I opened and tasted it, I knew I had found my perfect New Year’s drink! You might want to add some ice cubes and tonic water to the ouzo. It tastes perfectly nice without it, but trust me, it is better for your dignity to drink it like this! 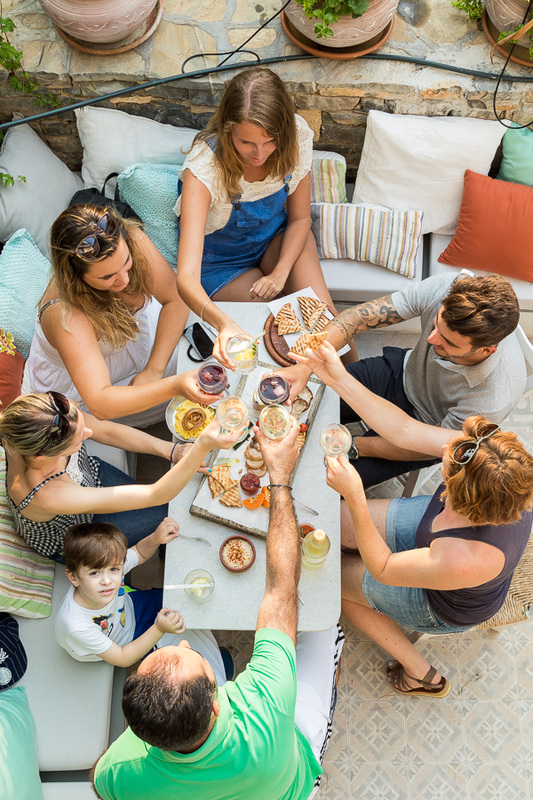 If you don’t like ouzo, you can try it with other kinds of alcohol, like rum or wine, and add all kinds of ingredients. Be creative! The dark jar in the picture below is made with rosé wine, walnuts, apricots, cinnamon and anise. 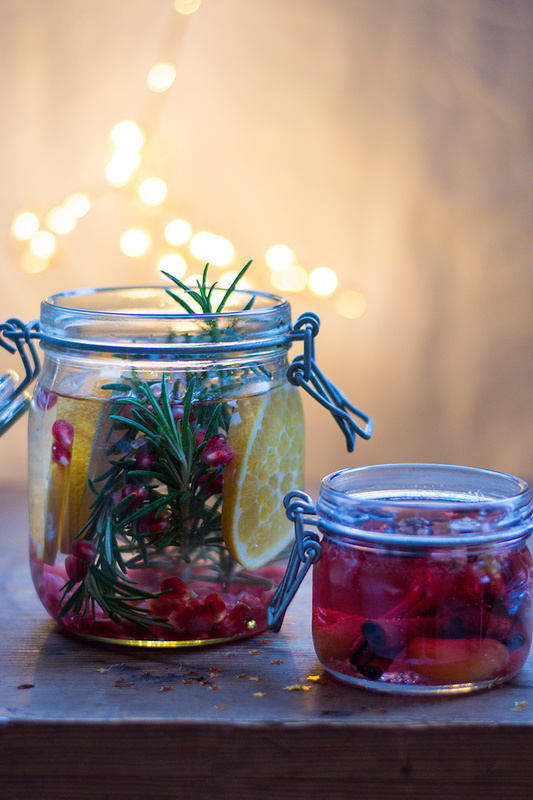 If you can’t wait a few days to infuse the alcohol, just put it in for 3 hours. The entire Odyssey team wishes you a fantastic change of the year! Let’s hope 2018 will give us wonderful memories!! Infuse the ouzo and rosé wine preferably for a couple of days, but at least 3 hours.